This is research done by a team at Chalmers University in Sweden.They made graphene spikes that were 60 to 100nm high form vertically from a surface by plasma deposition. 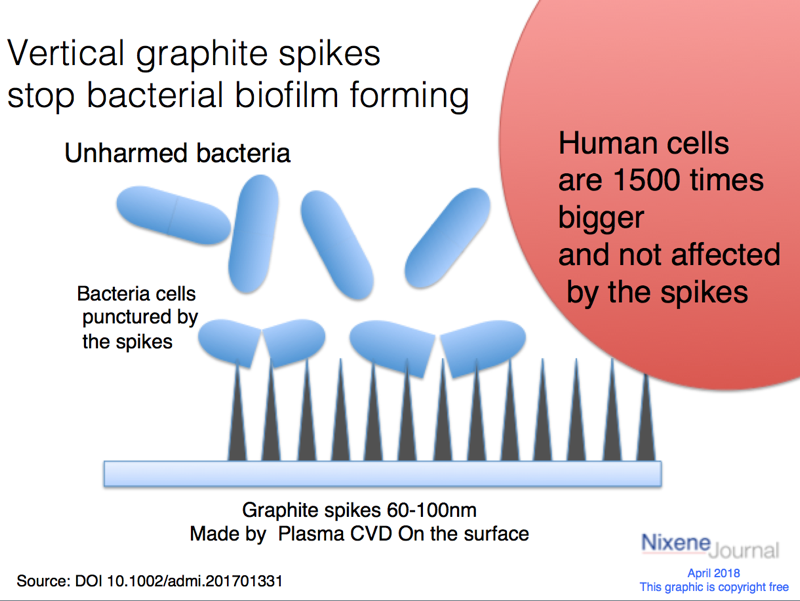 They found these spikes stopped bacterial biofilms forming by puncturing thecell walls. Human cells were much larger and so not affected by the spikes. At one level this looks like totally positive research that could make to surface coatings that are self-sterilising. This could be very useful for door handles and switches in hospitals. Think further though and this research implies that if the spikes were larger they could pose a hazard to human cells. This might mean that larger pieces of graphene spikes could prove toxic to humans. At the moment graphene is considered benign, perhaps we should think carefully about the physical dimensions of the material we expose to our environment. 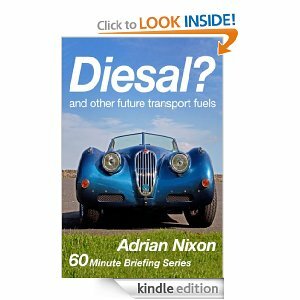 Know more about our articles from our book available in Amazon.